These super strong films were especially designed to keep glass from flying in case of accidents or vandalism. 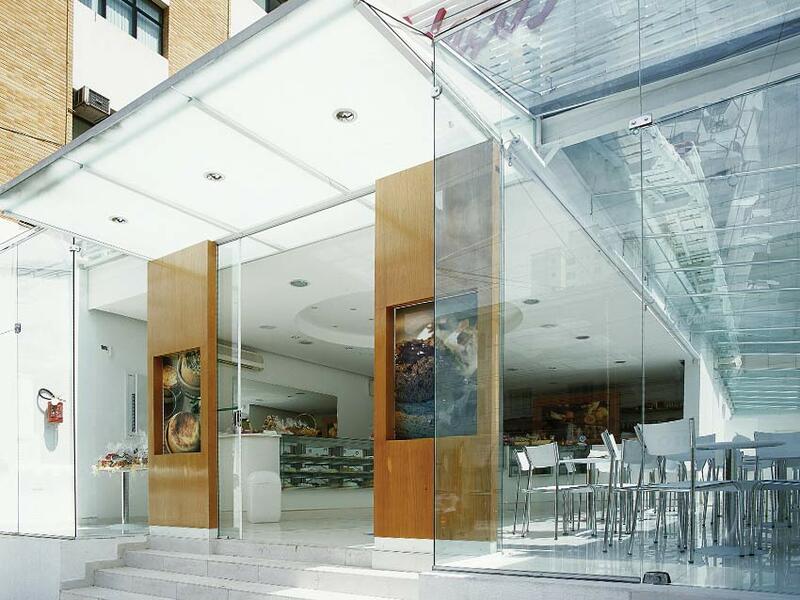 They provide a safety factor through the unique adhesive bond to the glass. 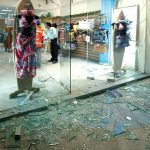 Even the thinnest of films will form a tough barrier which will help hold shattered glass in place. 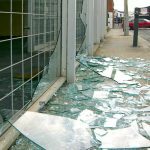 Whether it's an intruder trying to break in, a weather problem, or a household accident, security film provides a protective barrier which helps reduce personal injury and property loss. 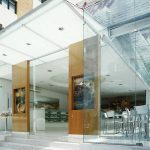 Our job is to help you choose a window film to suit your needs and provide a safe, clean annd professional installation with minimal to no disruption to your daily activities. Our work is guaranteed and our films are all warranted against peeling, bubbling and color change. 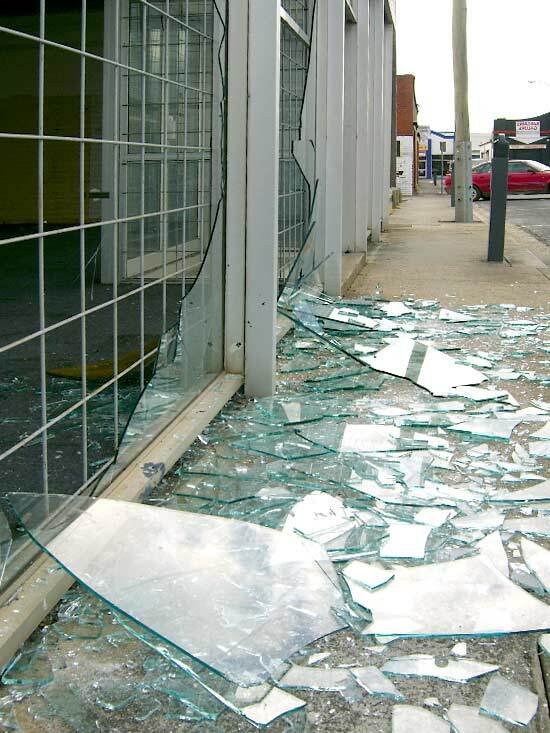 Most break-ins occur through windows & doors. 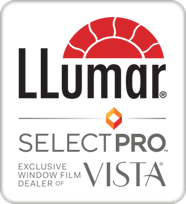 You can protect your property & valuables by having safety/security film applied to your windows today! Heavy-duty transparent polyester "SECURITY" film applied to existing glass "excellent protection against break-ins"
This is a photo taken of a client's door as he was coming in for work. 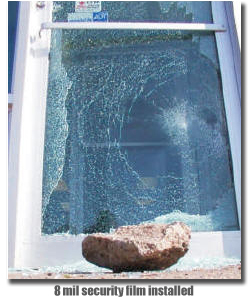 Although the glass door was shattered from the blow of this large rock, the door was still locked and no entry was gained, The glass and film were replaced the same day. Happy Customer! 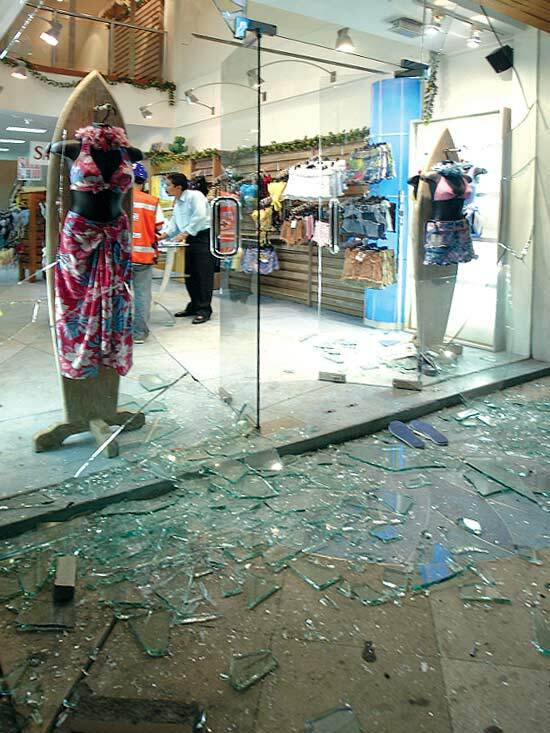 Our Magnum Safety/Security window films are designed to keep glass together in case of forceful or accidental glass breakage due to attempted break-ins, vandalism or natural disasters. Virtually undetectable once applied. We also offer residential / commercial installation service in the Greater Halifax Area, other regions of Nova Scotia and PEI.